Our relationships with our partners are based on a common vision of; Supply chain connectivity being integral to business success in the 21st century, and the ability to deliver “quantum leap” solutions ahead of the competition. Royal 4 Systems has established strong, long-term relationships with leading software developers, systems consultants, hardware integrators and functional analysts. We partner with organizations who all share our deep commitment to customer success and have the experience and resources to ensure compatibility and effective integration with other enterprise systems. Our relationships are based on a common vision of: Supply chain connectivity being integral to business success in the 21st century, and the ability to deliver “quantum leap” solutions ahead of the competition. 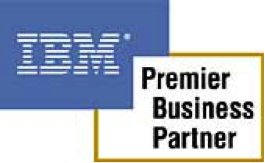 Royal 4 Systems, Inc. is an approved business partner with IBM. WISE is an approved “Value Add” product for IBM business partners and is certified for the RS 6000. Since the AS400 models can run AIX on the partition, we can also run native on that platform as well. WISE together with the speed and stability of the AIX operating system is an ideal solution for your warehousing software needs. Royal 4 Systems has been certified by Microsoft. We have met Microsoft’s highest standard for partner solutions. The global partnership focuses on joint sales and marketing initiatives as well as deep technology collaboration both on products as well as open systems technology. UPS has provided industry leading transportation management solutions to distribution companies for over 30 years. As an UPS technology partner Royal 4 Systems offers a suite of integrated software applications as well as integration with ConnectShip, Roadnet and WorldShip. UPS Logistics Technologies has successfully helped thousands of distributors reduce transportation costs, save time routing, improve customer service and increase overall operational efficiency. 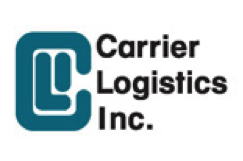 Carrier Logistics Inc. (CLI) is a leading provider of integrated freight management software solutions that help transportation companies manage change and improve their profitability. Serving the trucking industry for over 40 years, CLI’s comprehensive freight management solutions drive every key element in a transportation company from dispatching, to freight bill entry, to mobile data communications. CLI’s suite of software is used by companies worldwide. From small, family-run organizations to large multi-billion dollar transportation powerhouses with over 2,000 concurrent users, CLI customers rely on the comprehensive, flexible and dependable software to run their businesses. Industry leaders use Voxware voice solutions at hundreds of locations around the globe. Royal 4 and Voxware offer dramatically lower implementation costs that eliminate custom coding, while leveraging service oriented architecture (SOA). Customers enjoy the proven benefits of Royal 4 Systems voice technology including hands-free operation and continuous workflow, increased worker productivity and safety, a noticeable decrease in mis-picks, reduced short orders on trucks, real-time visibility to order status, elimination of paper pick lists, reduced employee training time regardless of native language and much more. Our seamless interface between ASA’s tire management software and Royal 4’s WISE WMS solution provides point of sale, sales analysis and reports, accounts receivable, purchasing, receiving, put-away, cross-docking, tire location, picking, shipping, tire ageing alerts and more. Since WISE updates ASA in real time, the inventory that the clerk sees at the counter will always be accurate. This will allow tire dealers to manage their warehouses, reducing time and increasing accuracy while realizing a return on their investment in a very short period. The Royal 4 – ASA alliance is a win for the entire industry. Royal 4 is an SAP Complementary Software Partner. Royal 4 Systems provides a non-invasive integration solution that satisfies SAP connectivity standards for functionality across multiple SAP ERP business applications. Royal 4’s global teams have helped enterprises better leverage their SAP and SAP Business One systems by integrating the latest supply chain technology and extending access out to the point of work. Royal 4 is actively working towards certification for SAP solutions for mobile business. AMSA represents more than 3,500 members, including interstate moving and storage companies, local movers and international movers. AMSA’s goals include strong support for government regulations that protect consumers. We also offer a complete range of services, including state and federal government representation, legal and tax assistance, professional education and certification programs, financial and statistical reporting, loss and damage claim dispute arbitration and publications designed to keep you well informed about the latest news and trends affecting your business. Avery Dennison’s innovative products and technology, global manufacturing and distribution, and top-notch systems integration and field services groups, allow them to help our customers create and develop strong brands and move their products to market more efficiently and cost effectively. Avery Dennison products are used by many leading companies across the globe. Avery Dennison’s RFID solutions come complete with the industry’s best service organization, as well as laboratory testing, and process improvement support, so you are ensured of a solution that works now and in the future. The California Trucking Association is active with any business who uses trucking. Our Media Web site gives you access to daily industry related headlines. The “CTA Media Center” contains information about the association, news stories featuring the association and our members, publications and press releases. CTA is the nation’s largest statewide trucking association, with 2,500 member companies. Janam Technologies is a provider of rugged, handheld computing devices for mobile workers. Janam combines deep industry knowledge with advanced technologies to deliver products and accessories that increase productivity, reduce costs and improve customer satisfaction. Specializing in purpose-built mobile computers that scan barcodes and communicate wirelessly, Janam offers products that are designed to run mission-critical applications in retail, healthcare, hospitality, manufacturing and logistics. Royal 4 Systems offers Janam computing devices for our WMS projects worldwide. Technology is changing the world faster than ever. That’s why we do everything in our power to help our customers driving transformation towards a flexible digital organization – faster, smarter and safer! We invest in our relationships to gain deep and evolving understandings. This is how we develop the best IT solution for today and tomorrow for every unique situation. Progress offers the best platform for building and deploying tomorrow’s applications quickly and easily. Progress offers flexible frontend tooling for delivering an engaging and multi-channel UX, a modern, reliable, scalable and secure backend to build and run microservices, and leading data connectivity capabilities for harnessing data from business systems and any other data source, whether on-premise or in the cloud.